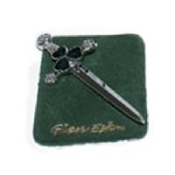 Shamrock Kilt Pin by Glen Esk, available in Chrome. Approx. 3 1/2 inches.